Never Enough Nails: NOTD: OPI Pirates Skittles! 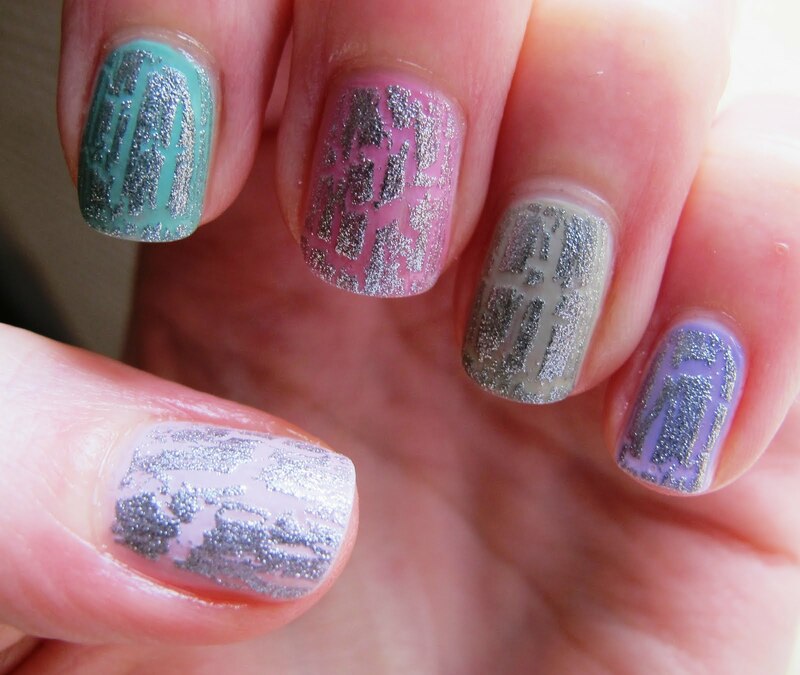 I just thought I'd show you what I'm wearing on my nails right now, since I'm having a lot of fun with it. I'm wearing all 6 OPI Pirates of the Caribbean colors, with OPI Silver Shatter on top! 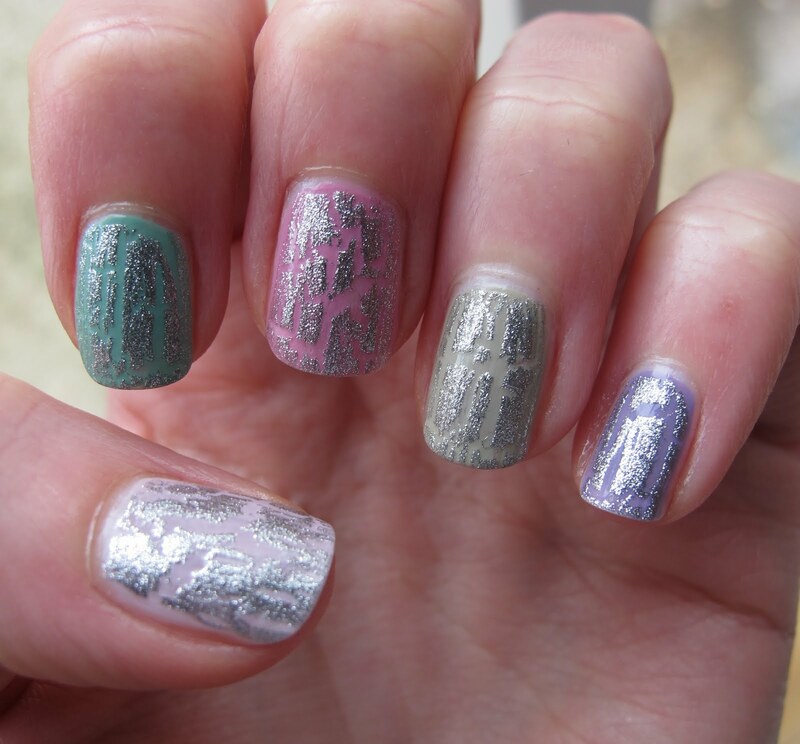 That's Steady As She Rose on my thumb, and then left to right: Mermaid's Tears, Sparrow Me The Drama, Stranger Tides, and Planks A Lot, all two coats with one coat of Silver Shatter. You can't see Skull and Glossbones, but I'm wearing it on the thumb of my right hand. I love these polishes so much and they look fabulous together! This is my favorite mani I've done in a looooonnnggg time! 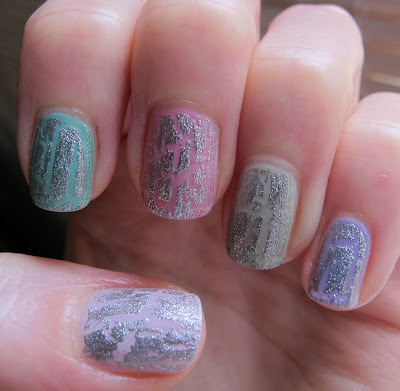 If you haven't seen my full review of the OPI Pirates collection, read it here. Also, don't forget about the two giveaways I have going on now. One for a $25 gift card to Apothica.com, where you can purchase Deborah Lippman polish (along with SpaRitual and other polish brands). Enter Here. The other giveaway is for all three of the Julep Spring polishes! Enter Here. These polishes were sent to me for review by a PR agent for OPI. For more information, please read my Disclosure Policy. potc makes for great skittles :D pretty! They go very well together, especially topped with the shatter! Super cute! :) I love it! I can't wait to get these polishes soon! Thanks ladies! I'm still wearing this and loving it! Rescue Beauty Lounge Look Rich, Be Cheap! One for Me, One for You- Cult Nails Captivated! NOTD: Sinful Colors and OPI combo! Preview of AWESOME OPI Nail Mail!!! !